A new multi-family housing project, Casa de Esperanza, is being developed by Visionary Home Builders of California (VHB), Stockton’s non-profit housing specialist with a recent $11.5 million Federal Tax Credit grant. The new project will provide 69 units to low-income farm working people. 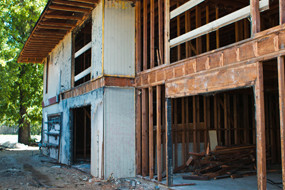 There will be studios, 1-BR, 2-BR, 3-BR and 4BR units. In addition to providing much needed housing in the area, Casa de Esperanza will also provide hundreds of construction jobs, which is scheduled to be completed March 2014. Casa de Esperanza is located East of Mariposa Road, just west of Highway 99. Our communities are planned and developed with the goal of improving the surrounding neighborhood, as well as add richness to the lives of each tenant. We take pride in our developments and are committed to producing a superior product both in function and aesthetics. Our communities add value to the surrounding neighborhoods, and tenants enjoy the safety and comfort of their environment. Our design incorporates an “eyes on” philosophy. Utilizing open spaces and angles which are visible from throughout, this philosophy heightens the sense of community and safety for our tenants. One of the most important aspects of our communities, and an item that sets us apart from other developments, are the services that we provide our tenants and the surrounding community. Along with partners, Visionary Home Builders utilizes a “family strengthening approach” often referenced to as family support, to improve the health, social, educational and economic outcomes of entire families, not just individuals. 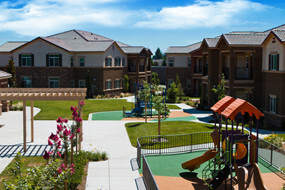 Westgate Townhomes was recently renovated by Visionary Home Builders of California (VHB). This project will provide 40 units with 2 bedroom, 3 bedroom and 4 bedroom options. 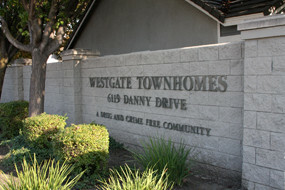 Westgate is located at 6119 Danny Drive in Stockton. Château de Lyon, formerly known as Bradford Apartments has been renovated. Located near the University of Pacific in Stockton this 30 unit multi-family housing will have 1 bedroom, 2 bedroom and 3 bedroom units. The Hunter Street Housing Project will be located in downtown Stockton and will provide approximately 74 units of affordable multifamily housing. Tierra Del Sol II will consist of 10 single-family lots which will join 12 existing single-family lots developed within San Joaquin County. These homes will be sold to families at or below 80% Average Median Income (AMI) for San Joaquin County. Additionally, families will be provided an $80,000 GAP loan financing for Down Payment Assistance by San Joaquin County. 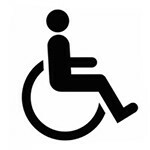 Persons need to work or live within the county. The GAP loans will be provided to low-income first-time homebuyers. The loan will be fully forgiven after 15 years as long as the buyer has met the requirements of the loan.